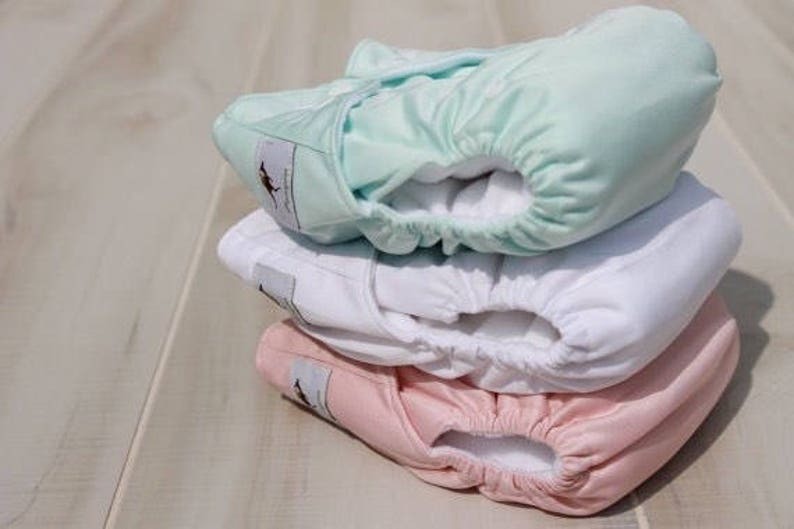 Momgaroo 6 pack Organic One Size Pocket Diapers fits from newborn to 3 yrs old. This offers will be removed at any time, get yours now! This offer is temporary and will be removed at any time. Grab yours now! Girl pack: a mix of neutral colors and pink diapers. Become a Facebook Fan and get in touch with giveaways and new products for you and your baby. Save money by volume, check our 3,6,12, 24, 36 and 50 packs. Care and Cleaning: pre-soak machine wash, warm tumble dry low. The diapers fit great and are easy to get the inserts into. Thanks! These exceeded my expectations. I'm sooooo thrilled and thankful. It looks the same and feels perfect to the touch. I got these for my friend's baby shower and I know she's going to love them as well. Hi! This shop accepts pay pal and credit card. If you have any other payment you would like to use, please contact me and we can work something out. 100% money back! Buy with confidence! Item(s) must be unused, unwashed and in good conditions. Items will be shipped within 3-4 weeks after payment received. • USPS: First Class Mail and Priority Mail Regional 2-----3 working days.